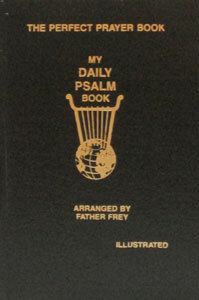 Official one-volume edition of the Liturgy of the Hours. 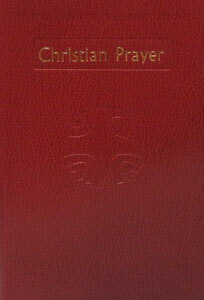 Maroon leather look and feel. 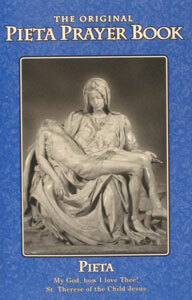 Catholic Book Publ. Ed. (Guide included) No. 406/10. 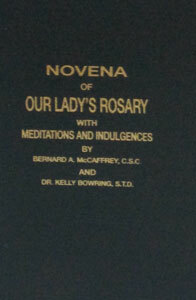 NOVENA OF OUR LADY’S ROSARY by Rev. Bernard A. McCaffrey, C.S.C. 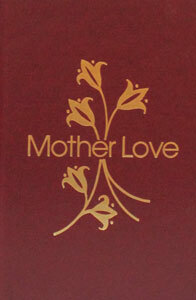 MOTHER LOVE PRAYER BOOK compiled by the Archconfraternity of Christian Mothers.